Under "Calendar/Upcoming Events", you will find a list of events at the Ark that you won't want to miss! Under "Important Policy Information for Parents," you will find several links (coming soon) that allow you to access a .pdf form with important information we think every parent should know. When you click the link, you should have the option of viewing or downloading the attached .pdf document. Don't miss the following upcoming events at The Ark! You are invited to join other Ark and THUMC families for dinner every Thursday night! Dinner begins at 5:15 pm. Suggested donation for dinner 5.00 per adult and 3.00 per child. Thursday September 26: Join us for our Dinner and Silent Auction Fundraiser. Featuring Art Work from all of the children. The link above describes Ark policy regarding operations on days determined as "Snow Day(s)" or "Late Start Day(s)" by the Flagstaff Unified School District. We take the day-to-day security and safety of the children entrusted to us very seriously. The link above is to a short description of what our daily security procedures entail. Some times, local events may trigger a "lock-down" of the Ark, including if nearby schools (MEMS, Puente De Hozo) institute lock-down. 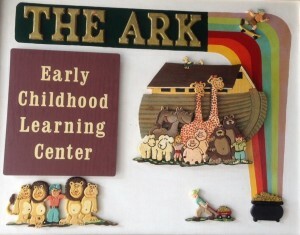 The link above is to a description of what happens at the Ark in a lock-down, and what parents can and should do in such an event. The link above is to an additional document about other general emergency and evacuation procedures.